Some History: I've always had a fascination with Anasazi Culture and some of the historical figures and events associated with establishing the scientific discipline of its study. 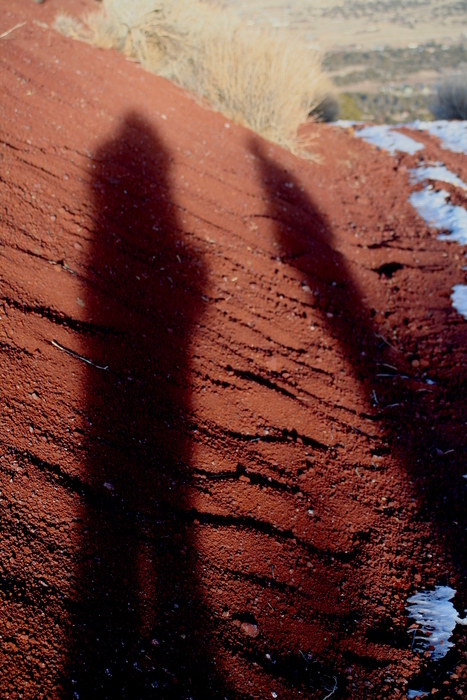 While Dr. Byron Cummings (see "Kinishba Ruins" HAZ hike description ) is considered the Dean of Arizona Archeology and Dr. Emil Haury (see "Point-of-Pines Ruins" HAZ hike description ) is the "Student", their lives intertwined for the first time at Elden Pueblo and Turkey Hill Pueblo in Flagstaff. 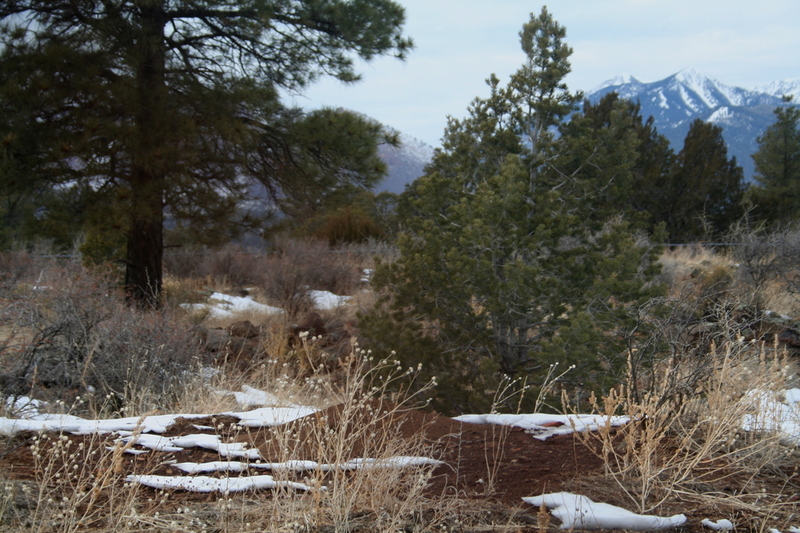 When the Elden Pueblo (see "Elden Pueblo Ruins" HAZ hike description ) archeological site was originally excavated by Dr. J. Walter Fewkes in 1926, the artifacts were transferred to the Smithsonian Institute in Washington DC. In three short months, Fewkes and his team of 12 men excavated through 35 rooms, uncovering some 165 burials, and recovered nearly 2500 artifacts. In 1927 Cummings flexes his political muscles as University of Arizona president to have the Arizona Antiquities Act passed through the state legislature. 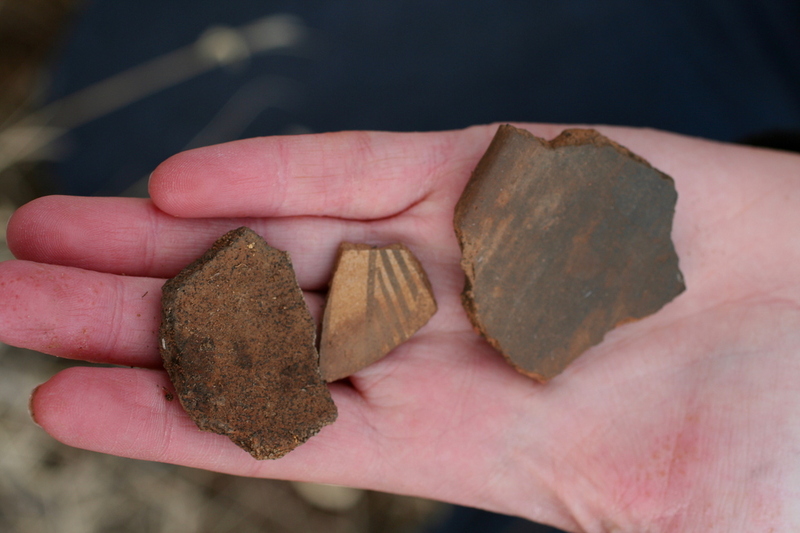 The new law required that one half of all collections from excavations must be deposited at a museum within the state. In 1928, Dr. Harold S. Colton and citizens from Flagstaff established the Museum of Northern Arizona to display future artifacts per the Arizona Antiquities Act and petition the Smithsonian to return some of the Elden Pueblo artifacts to Arizona. 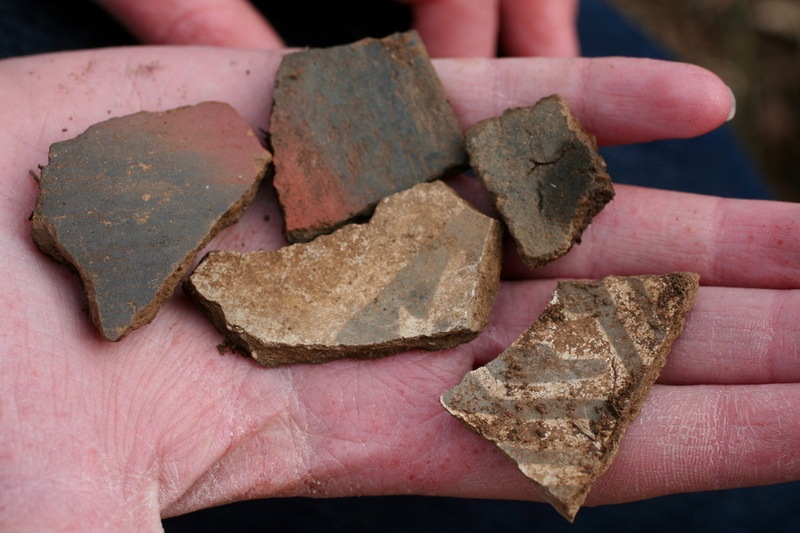 In the same year Colton shows Cummings an abundance of pottery sherds in the vicinity of an unexcavated site known as Turkey Hill. Cummings deems the site significant and delegates the responsibility of leading the excavation to one of his new graduate students, Emil Haury. 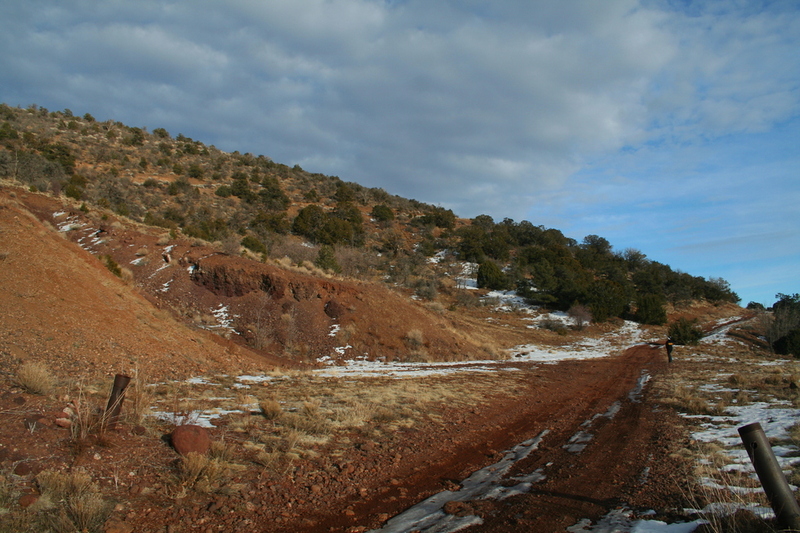 The Turkey Hill Pueblo was found to be similar to Elden Pueblo. Both consist of a main pueblo unit built in several phases, with smaller satellite pueblos east of the main unit. Formal cemeteries are present on the east and northeast sides, subterranean rectangular kivas are adjacent to the pueblos and both have evidence of earlier pit house occupations. The main Turkey Hill Pueblo had about 47 rooms, whereas the four satellite pueblos ranged from 1 to 5 rooms each. One of the satellite pueblos is of particular interest since it was a storage room containing many large jars filled with corn, beans, and other carbonized food remains. After Fewkes and Cummings completed their initial excavations, the Elden and Turkey Hill sites were common targets for pot hunting. 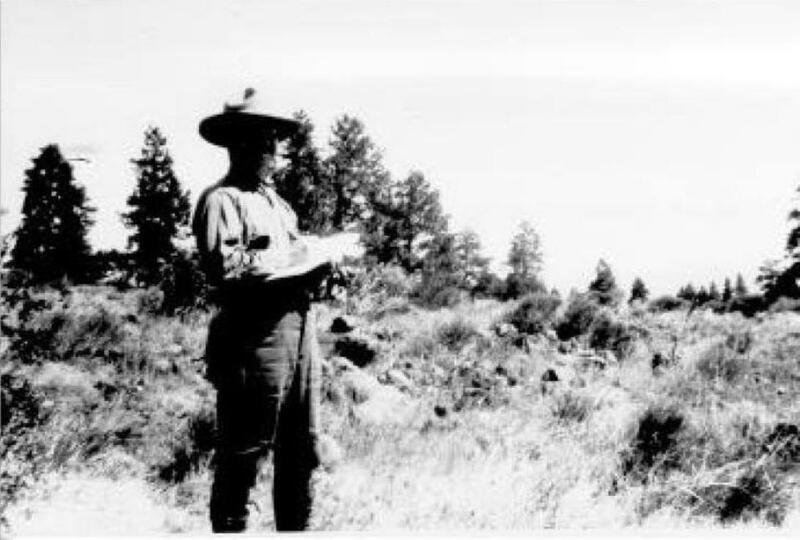 It wasn't until 1970 when Dr. Roger Kelly from NAU in conjunction with Coconino National Forest began developing a long-term land management plan. 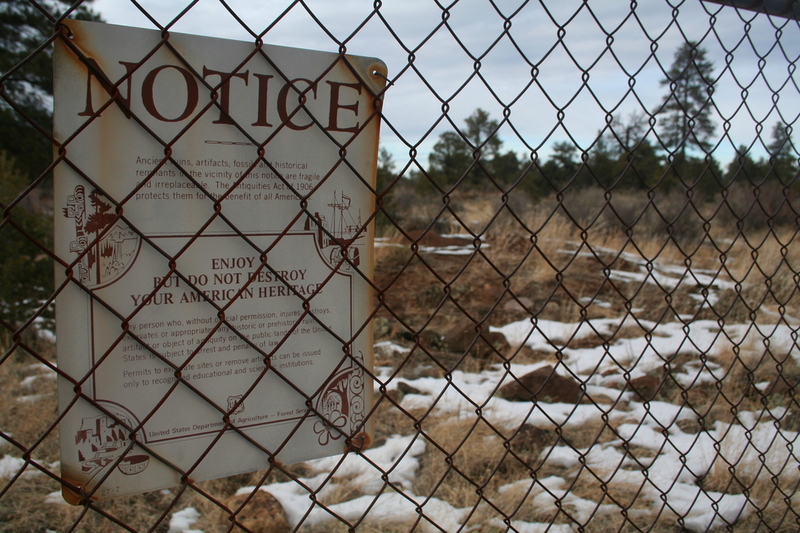 The Forest Service designated each ruin as a special management unit and erected chain link fences around the sites. The Hike: Starting from Elden Pueblo near SR87 and Townsend-Winona Road, we made our way east along Townsend-Winona Road until we reach the intersection with Pueblo Road. We head south along this dirt road (marked Forest Road 510B on some maps) and loop east over to the Rainbow Ranch Road section where we find a chain link fence enclosing a non-descript area. 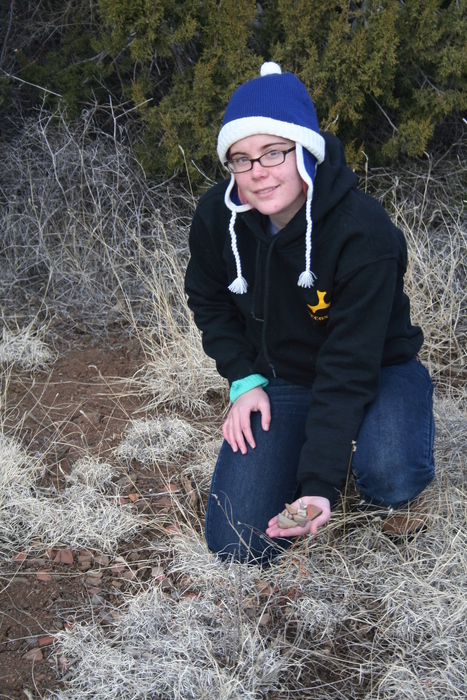 The Forest Service notice confirms the Turkey Hill Pueblo archaeological site. The inner compound shows little evidence of a 47 room pueblo. As we walk around the compound perimeter, we feel like Cummings being shown the site the first time by Colton. 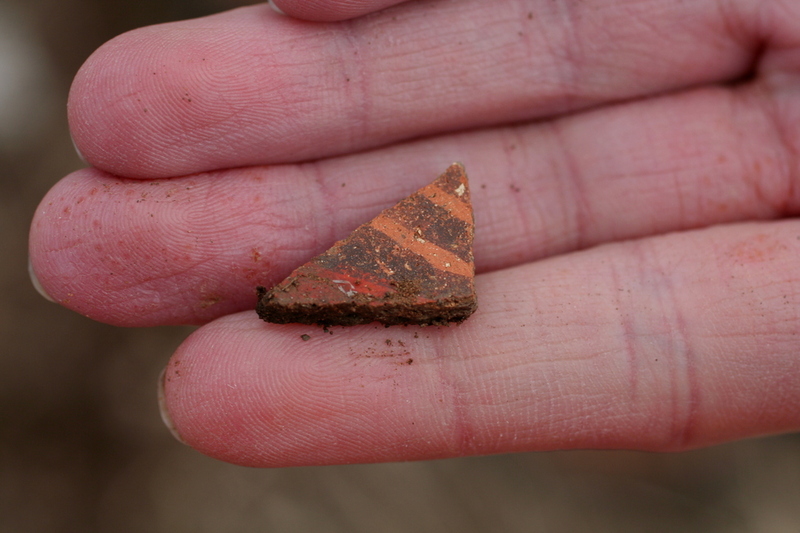 Pottery sherds are everywhere! 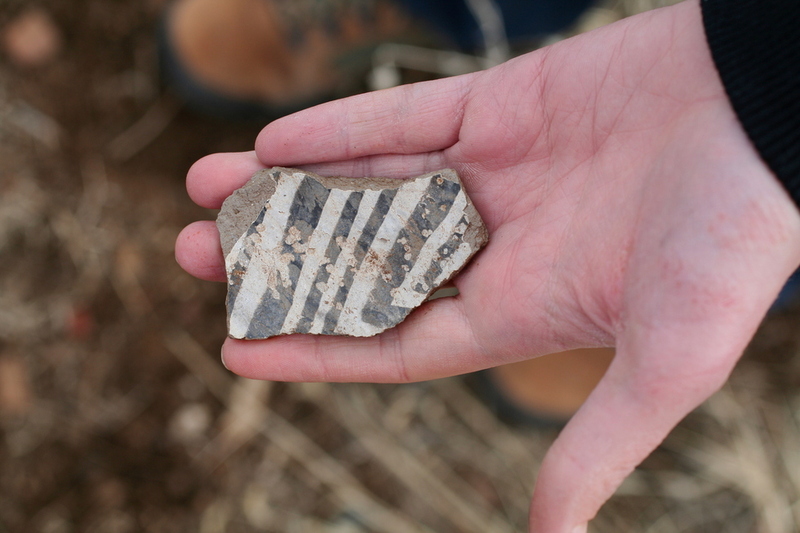 A variety of monochrome and polychrome sherds can be found without much effort. We return them as found. Having examined the Turkey Hill Pueblo site, we make our way south into the Turkey Hills following FR510B to the junction with FR791. Take the north-east fork at this intersection, heading directly up towards Turkey Hill Crater and an abandoned cinder pit. For all intents and purposes, the Turkey Hills are really only two hills with Turkey Hill Crater having the highest elevation. Continue your 750 foot ascent up the crater following the old cinder pit service road as it spirals upwards around the cone to the summit. 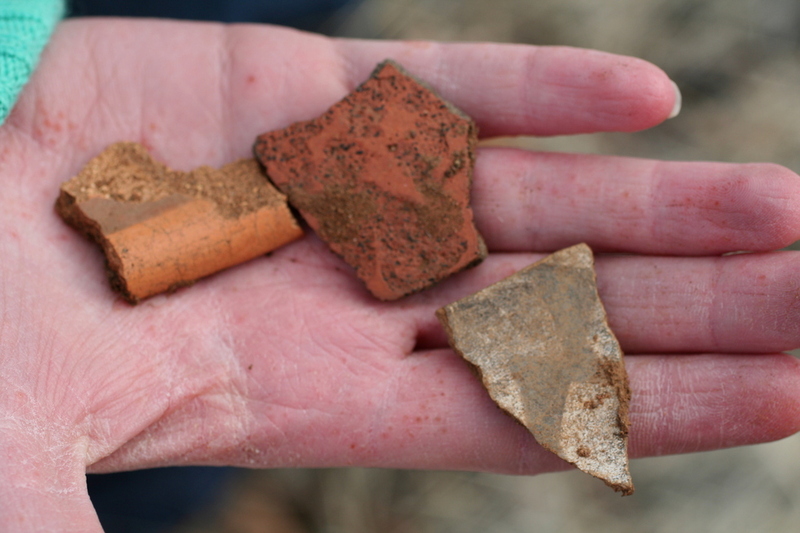 We continue to find pottery sherds along the pathway and at the summit. 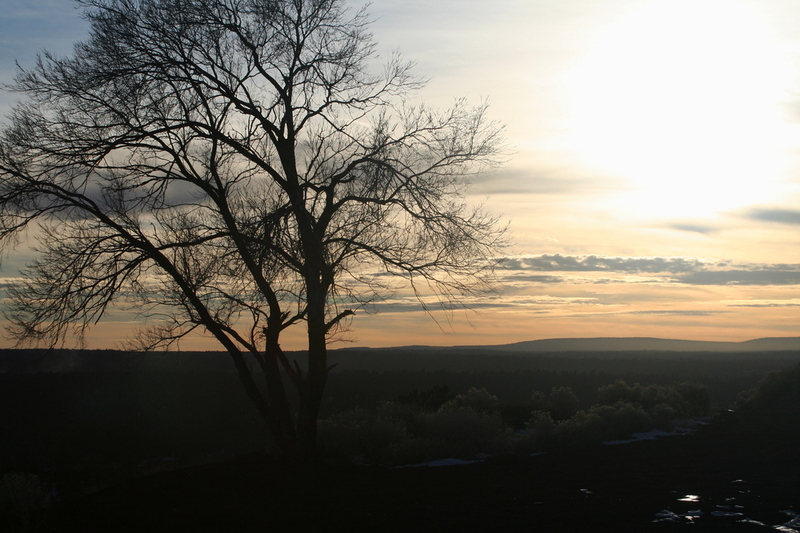 The summit of Turkey Hill Crater offers 360 degree views. To the north lie Old Caves Crater and Sunset Crater. 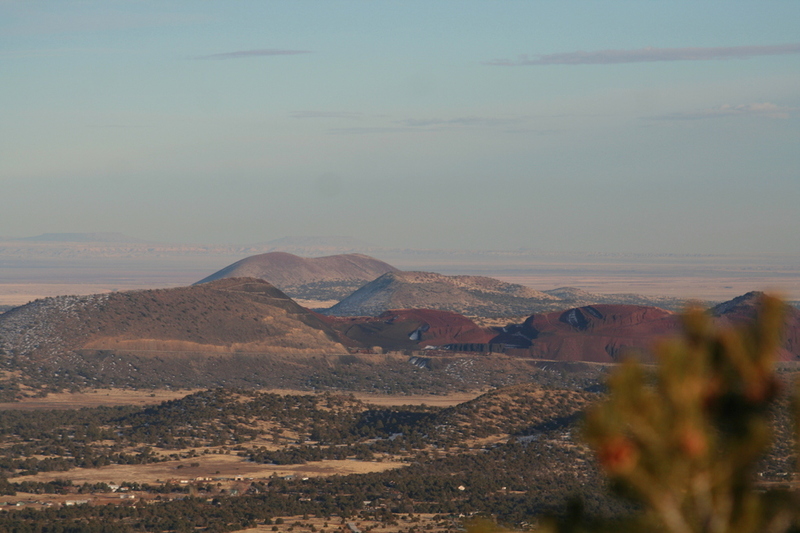 To the west, outlying craters and the beginnings of the Painted Desert are visible. 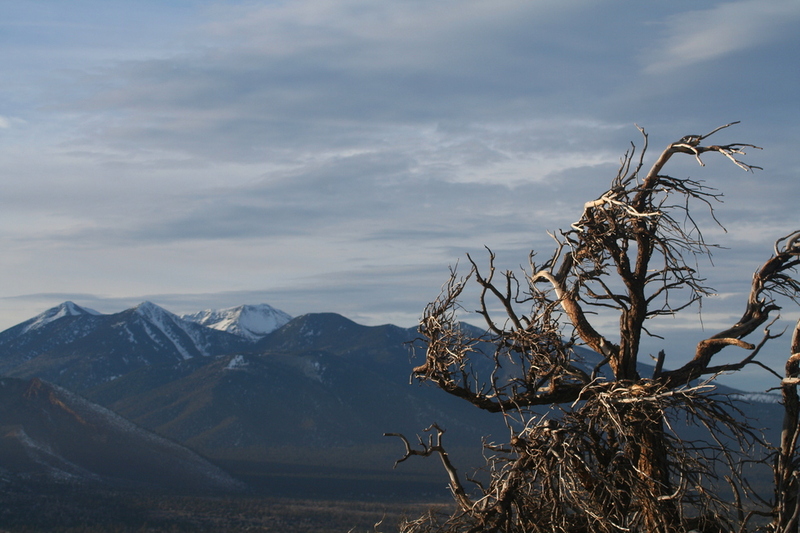 To the south, Anderson Mesa dominates the view and to the west the iconic San Francisco Peaks and Flagstaff. 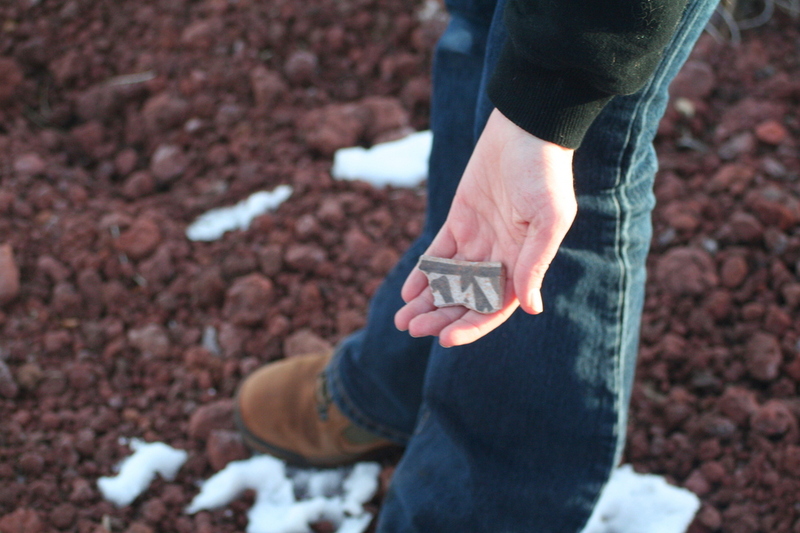 Summary: This is an opportunity to visit a largely forgotten story in Arizona archeological history. The trek to the top of Turkey Hill Crater offers a quick cardiac workout and reward of 360 degree views. 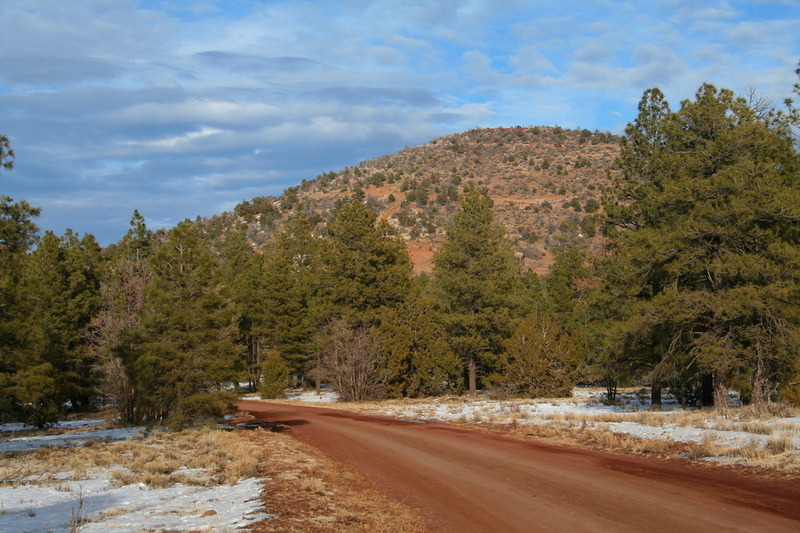 In another historical footnote, the Beale Wagon Road traverses the south and east sides of the Turkey Hills as it negotiates Wild Cat Canyon. Enjoy! Directions to North TH: From downtown Flagstaff, take SR89 north towards Page. As you pass Elden Pueblo Ruins, turn right onto Townsend-Winona Road and head east about 3 miles to Pueblo Road. 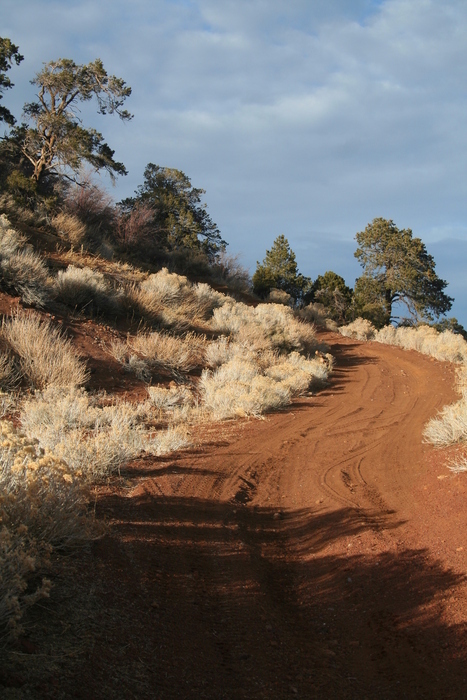 Pueblo Road loops around the archeological site and rejoins Townsend-Winona Road as Rainbow Ranch Road. 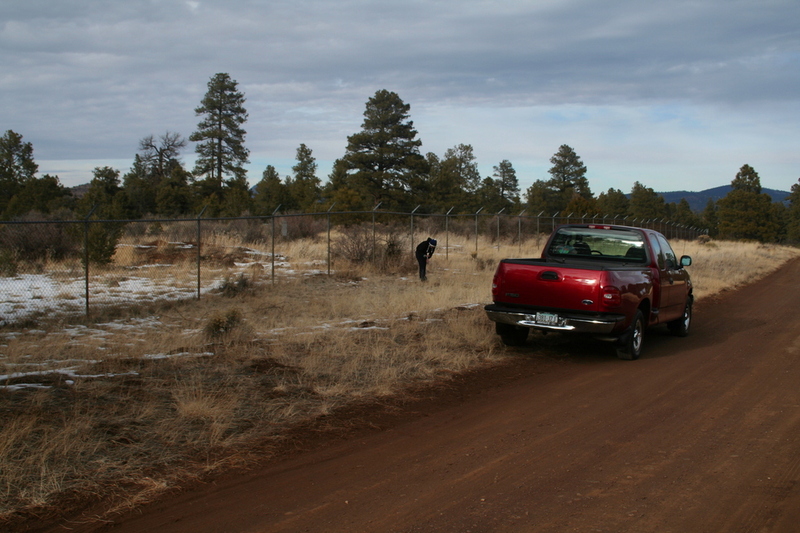 GPS coordinates for the intersection of Townsend-Winona Road and Pueblo Road are 35o 15.115'N, 111o 31.289'W. My GPS noted 185 miles traveled from my Ahwatukee home to the north trail head. Travel time was just under 3 hours. Directions to South TH: From downtown Flagstaff, take SR89/Historic Route 66 north towards Page. Turn right onto Historic Route 66 near the Flagstaff Mall and head east about 3 miles to FR791. FR791 is located just before BNSF railroad overpass. The FR791 cinder road heads north towards Turkey Hill Crater. GPS coordinates for the intersection of Historic Route 66 and FR791 are 35o 13.072'N, 111o 31.780'W. My GPS noted 185 miles traveled from my Ahwatukee home to the south trail head. Travel time was just under 3 hours.